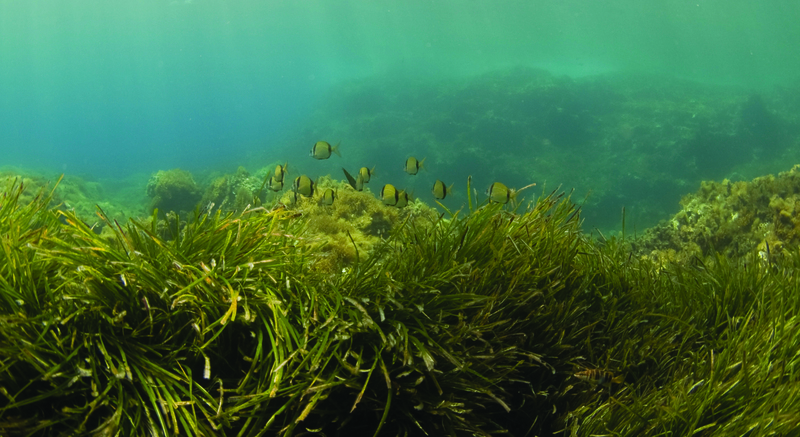 Restoring seagrass meadows, mangrove forests and salt marshes could play a big role in reducing global warming. These coastal wetlands are not the only important ecosystems. Combined with forests, farmland and grasslands, scientists have found nature could store as much as 22 percent of the annual carbon emissions in the United States, according to a new study released this week. The findings offer the most comprehensive assessment to date of how greenhouse gas emissions can be reduced by nature. It is the first study to include coastal wetlands and grasslands alongside forests and agriculture. The study also identified management solutions that could be implemented throughout the United States to improve and expand carbon-storing capabilities within the ecosystems. These include enhanced water quality management of wetlands and increased forestation on land. The research was led by The Nature Conservancy. In total, the scientists recommend 21 management practice solutions that, if implemented, could reduce carbon emissions equivalent to what is emitted by all passenger vehicles in the United States. In addition, methane emissions from coastal wetlands could be eliminated if the roughly 27 percent of tidal wetlands that have been disconnected from the oceans are reconnected. Doing so would also restore fish habitats important for coastal communities. Not only do natural climate solutions have strong benefits for personal enjoyment, healthier water, air, wildlife, and soil, many are quite affordable. As states and the federal government evaluate rules and markets for greenhouse gas emissions, these low-cost reductions from natural solutions should be part of the discussion. The peer-reviewed study brought together research from 22 institutions and was published this week in Science Advances. FIU’s coastal oceans research programs conduct international research and education outreach on issues affecting the world’s oceans. The programs are part of the Institute of Water and Environment in the College of Arts, Sciences & Education.